Cambridge University Press, 9780521281386, 152pp. 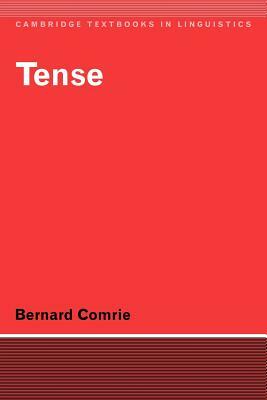 Bernard Comrie defines tense as the grammaticalisation of location in time. In this textbook he introduces readers to the range of variation found in tense systems across the languages of the world, bringing together a rich collection of illustrative material that student and specialist alike will find invaluable. This systematic account of the data is carefully integrated with a theoretical discussion of tense that is sensitive both to the range of tense oppositions found cross-linguistically and also to the constraints on that variation. For the most part the book is written without formalism, nor is it written within the framework of any specific current theory of linguistics. Nevertheless, as the final chapter makes clear, a formal theory of tense can build upon the insights gained here. For all readers, Dr Comrie's coherent and characteristically elegant account of this complex grammatical category will provide a solid basis for further research on tense, even in a language as thoroughly studied as English.